Through the hustle and bustle of New York City is the heart of Times Square which offers a variety of souvenir shopping, Broadway shows, restaurants and live entertainment. The newest addition to Times Square is the National Geographic Museum. This educational staple immerses you and your students into the wild life. 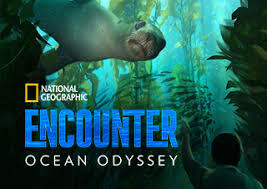 The National Geographic is notable for their variety of non-fictional articles and shows based on documentaries, entertainment, politics, nature and music. The new museum is based on the wildlife throughout the Pacific Ocean. Your students will encounter whales, sharks, dolphins, and much more. The technology the National Geographic museum provides will make you feel like you are stepping into their notable magazine past the yellow outline and into the ocean. This is a New York City site that you won’t want to miss. Contact your ETC Tour Consultant for more information.